When we visited Jagex last year it was on the brink of a renaissance. A new owner, a new CEO and a new-look HQ. 'The third age of Jagex' was the line we were being fed, and it all looked very promising. Twelve months later and I'm back in front of CEO Phil Mansell. There's been a lot of Jagex activity in that time - at least in terms of brand promotion, recruitment and conferences - but little to actually show us what Jagex 3.0 is going to look like. The hints he dropped last year around new games and new initiatives have yet to manifest into anything tangible. "Last year was my first full year as CEO, and the first full year with our new owners," Mansell explains. "The first half of that year was very much around getting our vision in place, working with the staff, doing our market research, talking with the industry... so that we can understand the lay of the land. There was quite a lot of self-reflection, if we are honest. Thinking about what Jagex is really good at." That has now manifested itself into a "three pronged strategy." And the first is the same game that has defined the previous two ages of Jagex: RuneScape. Making RuneScape a priority for Jagex may sound obvious, but the firm has made the mistake of not looking after it before. During the era of that ill-fated Transformers title, RuneScape began to wane. It had become neglected. Over the past four years that has changed - including the launch of the nostalgia-tinged Old School RuneScape - and the results have been plain to see. "A few weeks ago we had our highest peak concurrent user level for eight years," Mansell reveals. "In terms of subscription levels, it's the highest for seven and a half years. Those games are going through a real renaissance, and not just as a one off. We've had four years of consistent growth now." RuneScape doesn't get as much press as some of the other big online titles. Mansell posits that its absence from Steam doesn't help. He says that the game would be sitting around fifth or sixth on the Steam most played games list, and he hopes to maintain the game's growth with the introduction of a mobile edition. "Both RuneScape and Old School are in closed beta on mobile. We will get at least one of them out this year. Old School is most likely to come first, because it is a much more straightforward UX experience. And the technology is fundamentally simpler. They're testing really well." 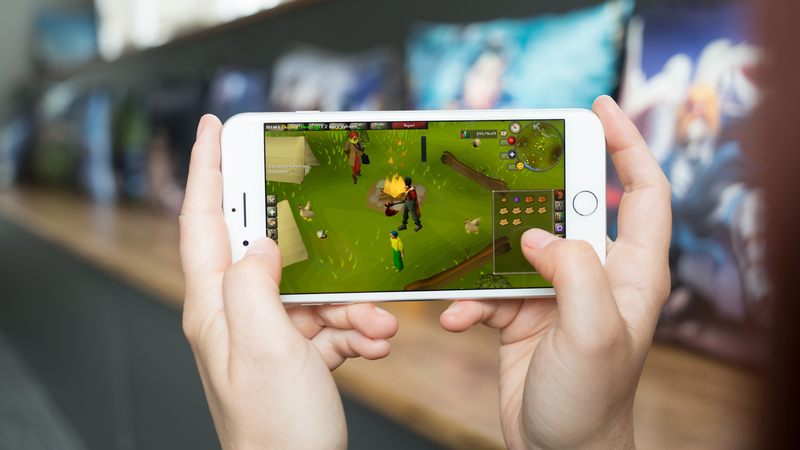 Mansell hopes the mobile editions will expand RuneScape beyond its existing users, and pull lapsed players back in. "We've had 260 million accounts in RuneScape's lifetime, and I read a lot of comments on our YouTube videos of people saying, 'I don't play anymore, but I still love watching these videos. When this comes out on mobile I am coming back.' And the reason is... they're not PC gamers anymore. They've not got so much time or their lifestyles have changed. "What we are hoping is that a lot of those players can get back in-touch with RuneScape. They can play it a bit more like a lifestyle game. You can have fun in five or ten minutes with RuneScape. You don't have to play for hours. It's a very flexible open world. "The other advantage is that, unlike releasing a new RPG on mobile, where you've got to learn the game and start from scratch, if someone is coming back to RuneScape their saved games are still there. They've got a bank account full of items and gold pieces. They can learn all the new stuff, but they'll understand the basics. I don't really know where that has happened before on mobile. It will be really interesting to see what that means in terms of retention and statistics." With mobile on the way, can we therefore expect to see versions for PlayStation, Xbox or Nintendo? "Long-term, I would absolutely love to [release RuneScape on console]." "Long-term, I would absolutely love to [release on console]," Mansell says. "What we are doing on mobile is the same game. You can play the game on PC, log-off, and continue on mobile exactly where you were. I would like to be able to do that on every single platform, and I know not everyone allows that. Also certification and release processes are different. On mobile we have updated our deployment processes so we can synchronise PC with mobile without it being an issue. We don't know how possible that is on console." RuneScape is part one of Mansell's three-part strategy, and part two is all around new games. The firm has a small R&D team working on various ideas. The hope is that some of those ideas can become a mid-budget online title in the vein of Rocket League, Path of Exile or PUBG. "These games don't have $100 million budgets," he says. "They are very community-based. They are quite grounded in what the players are doing, but they're still huge, exciting experiences. There's a lot of innovation that is happening there because of their size, and that's an area that we want to play in." In addition to this, Jagex is also working on a far bigger "next generation MMO." "We want to take everything we've learned over the last 17 years making the RuneScape games, and make something that capitalises on all of our learnings," Mansell says. "There's an interesting dichotomy... Games have never been more multiplayer or online, but people don't talk about MMOs very much anymore. That is actually a good thing, as it makes these games more accessible and less intimidating. That's where we want to go as well.
" Free-to-play can be quite divisive. But there's a lot of innovation in PC free-to-play, with various types of more equitable monetisation models." "I think quite highly of what the shared world games have done. They've been offering a massive multiplayer experience with far fewer complications. In the early days of RuneScape, it was a phenomenally accessible game. It was pretty much the first big free-to-play game in the West. We used a lot of simple design language for its interactions, but it was deep underneath. Those are some of the principles we are going to go back to with our next MMO." He continues: "It is important that our games are free-to-access. Whether they will always be free-to-play will depend. It's important to allow lots of people in, and it's important for us to have an ongoing revenue stream. Free-to-play can be quite divisive with people, but there's a lot of innovation in PC, with various types of more equitable monetisation models. Fortnite quite recently has done some interesting innovation there." The next-generation MMO will be what Jagex is calling "a living game", a term that describes why RuneScape is different to other games-as-a-service titles. Citing aspects such as how the team works with players, plus real-life events like RuneFest, Jagex feels that its MMO goes beyond most live games in terms of its social connectivity and unpredictability. Jagex wants to recreate this with its next MMO. And this leads us into the third part of Mansell's strategy for Jagex: publishing. Jagex has learnt a thing or two (sometimes the hard way) about how to operate and maintain live projects, and it now wants to make that experience available to other developers. 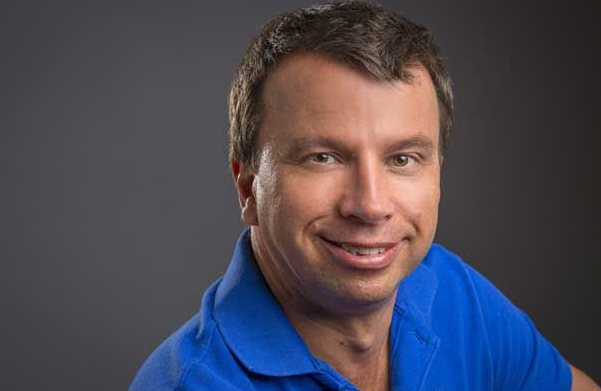 It's even hired former EA, NCsoft and Trion Worlds exec John Burns to lead the initiative. 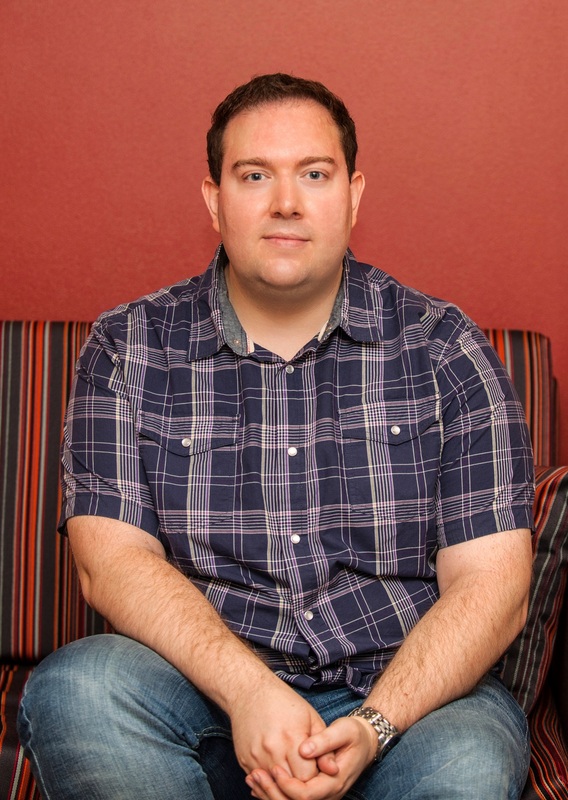 "If we are going to continue to make RuneScape and Old School a success, plus create, launch and maintain new games, then we need to have world class publishing," Mansell insists. "We've got good at RuneScape, but there's still a lot more we can do with that. We are going to double down and really invest, and not just have those services for our own games. We will - to a degree - become a third-party publisher. "I am seeing a number of games where developers are getting towards Early Access. They've made an awesome game and they are thinking about how to take it to market, and whether they need marketing capital, or worrying about how to manage customer support, or debating whether to go on Steam and give away 30 per cent. "If not, are they going to have their own billing and leaderboards and account management? What about the more advanced stuff, like customer relationship management, marketing automation, and then influencers and social media? How do you do that professionally, at scale and worldwide? How do you stop yourself getting DDOSed if you make an enemy in some corner of the internet? That is a really valuable skillset. "I don't think there is a go-to, third-party live games publisher out there. A lot of the big publishers do bits of it, although they have one foot in retail and love premium because of how the economics work, and they do that extremely well. But we are a specialist, best-in-class, live games publisher, PC-first but not PC-only... Cross-play is going to become increasingly important and will be a significant skill for us. We think there will be a big opportunity there." "I don't want us to be doing ten different things. I want to find something we are already good at, and become absolutely world class at it." Live games is the big trend in the industry, and Jagex hopes - considering its 17-year experience of doing this sort of thing with RuneScape - it can capitalise on that. Not everything is finalised. Mansell knows that the number of titles it can handle at any one time will be "in single digits", but he's not sure how many the firm can support, or whether elements such as funding will be part of its offering. "This is just the conversation beginning," he says. "We have a huge audience of RuneScape players. There is a lot of footfall, a lot of eyeballs on that. But we're not looking to build a cannibalising portfolio. When people work with us, we want them to see that Jagex cares deeply about their game, that this publishing division is separate from all the RuneScape stuff. It's not going to come into conflict, and that they'll only be a benefit of being in this Jagex roster." He concludes: "I want us to become amongst the best in the world at this. If we are going to make this third age of Jagex a success, and go beyond the legacy of what we've had in the past, we have to build, not just competencies, but absolute market excellence. I don't want us to be doing ten different things. I want to find something we are already good at, and become absolutely world class - and ideally best-in-class - at doing it. "That is where our living games thing comes in. The games we will be looking at as we build up this business unit, they are very live and community-driven, they don't have to be free-to-play, but there certainly needs to be a long-term business. We have the skills to do that. "We've rebuilt RuneScape's business model. We've built this free-to-play game, with subscriptions, micro-transactions, with tradable premium currencies, and made sure our fraud systems can cope with all the risks that that creates. We've done a lot on digital performance marketing, on community events, and we've hired experts from mobile and console. And now we want to share that with the world."